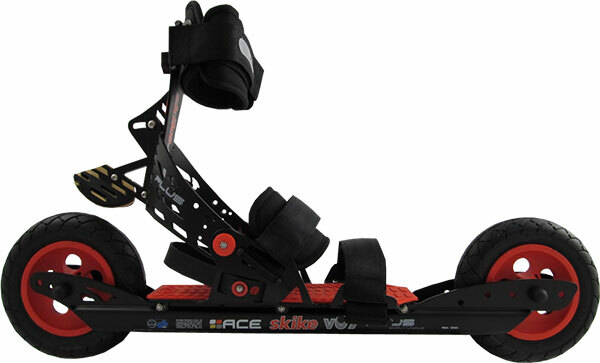 In this category you find replacement parts for Skike V07 PLUS. Skike PLUS is the successor of Skike V07 120. We stock most available parts for Skike PLUS such as tires, complete wheels, bearings, tubes and much more. Most orders leave our warehouse within 24 hours after your purchase. If you have any questions about Skike PLUS replacement parts please contact us any time. These replacement parts are for Skike V07 PLUS only and do not fit to all Skike Cross Skates. If you need parts for Skike vx SOLO or Skike vX TWIN you find them here. Skike V07-120 parts can be found here and spare parts for Skike v7 FIX and v8 LIFT Cross/Speed can be found here. Ankle Joint Bearing set for Skike - 2 pcs.